It's sad that Target had to exit Canada. But, to tell the truth, Target always experienced difficulties after its entry on the Canadian market. It's main problem was about logistics. How many times did we go through empty shelves in the local Target just to turn around and head out to the closest Walmart. Well, the stronger survived. We all now know Target is saying its final farewell to the country and will be welcoming us only when we cross the border. Now Target is selling off its inventory through a network of local partners. Canada's Baby Store has secured the baby's section! 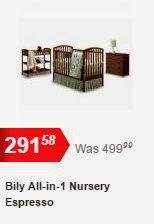 This website is now selling baby articles from Target with 50-60% discounts. 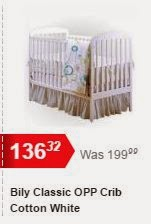 Great deals if you are looking for baby furniture, travel systems, boosters, nurseries! 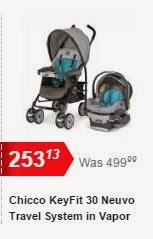 Benefit from these great deals as soon as quantities are available on Canada's Baby Store.